The Jump Force crew just got a lot more Naruto flavor. Four characters from the popular Naruto franchise have been added to the manga crossover’s roster. Players will be able to fight as Boruto Uzumaki, Gaara, Kaguya Ootsutsuki, and Kakashi Hatake when Jump Force launches on February 15, 2019. They join the previously-confirmed Naruto and Sasuke, bringing the total number of Naruto playable characters to six. The news was confirmed in the most recent issue of Weekly Jump, which means there are no screens or trailers just yet. But that’s become par for the course with Jump Force, so we should see official looks at the characters in-game soon. Previous character reveals, like My Hero Academia’s Deku and Black Clover’s Asta, were revealed in a similar fashion. Jump Force centers on 3-on-3 fights, with teams are made up of different combinations of manga characters (plus a custom character you can make). 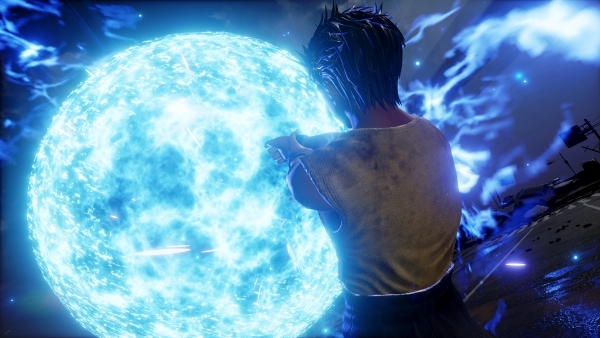 As detailed in the recent story trailer, Jump Force involves a mind-bending story of multiple worlds and universes. When our world collides with the Shōnen Jump world, the heroes of some of its most iconic series must team up with the player-created character to save the world (worlds?). Jump Force releases on February 15, 2019 for the PlayStation 4, Xbox One, and PC. If you’re itching to get your hands on this upcoming brawler, the open beta starts on January 18th. It features 17 playable characters and 5 playable stages. And if that whets your appetite even more, preordering the Jump Force Ultimate Edition gifts you with early access. Are you happy with the addition of these new Naruto characters? Or is there another series you’d rather see represented? Let us know!